A new twist on the “Closeup” series. The faces are partially sculpted as a portrait, but large sections have random/abstract patterns that change the entire complexion of the face as one walks around it; hence “Abstract Expressions”. 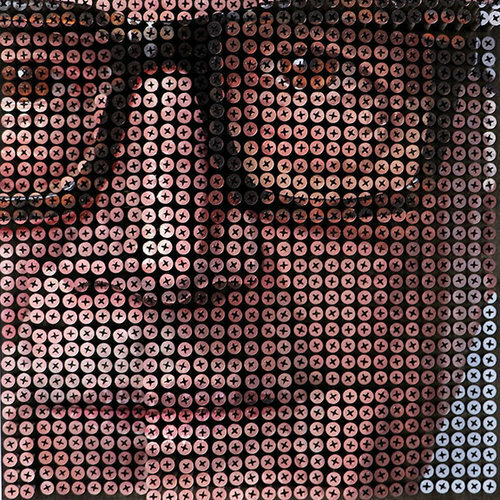 These measure 12” x 12” comprising 961 screws with each one hand painted with oil paint to create the portrait.